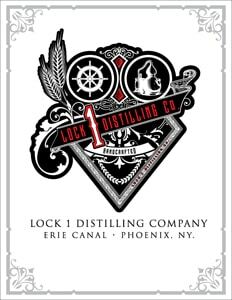 Lock 1 Distilling Company is the first distillery to open in Oswego County since the prohibition. The distillery sits right across the street from Lock 1 of the Oswego Barge Canal, the same canal preferred by bootleggers as the main artery from Canada to NYC during prohibition. 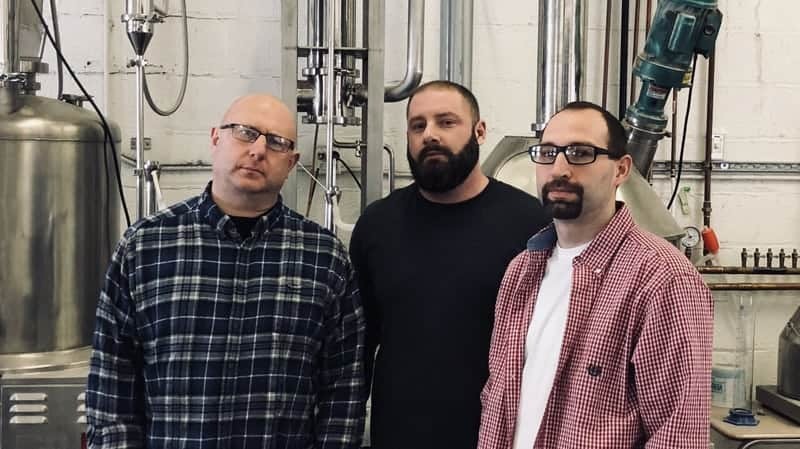 Founded in 2015, Lock 1 Distilling Company is family owned and operated by three cousins, Stephen Dates, Brenden Backus and Kevin Dates. Backus and Dates are the current owners of Phoenix Welding and Fabricating. They noticed an upward trend in New York State in craft distilling and combined their unique skills, craftsmanship, ability, time and finances to create a farm distillery unique to Phoenix, NY. The cousins began production with their Ryze Vodka, which took a year to develop, but the time in the development stage paid off. Since its completion, it has not only earned numerous gold medals and various awards, but has gained local and regional popularity in liquor stores, restaurants, and taverns. After the completion of their new tasting room, they intend to have local products, food and specialty cocktails for purchase. Farm distilleries in New York State, as defined by Article I, § 3 of the Alcoholic Beverage Control Act, “means and includes any place or premises located on a farm in New York state in which liquor is manufactured and sold, or any other place or premises in New York state in which liquor is manufactured primarily from farm and food products …” Up to 75% of the ingredients (fruits, vegetables, grain and grain products, honey, maple, sap, or other agricultural products) are locally grown or produced in New York State. Here at Lock 1 Distilling Company, we are proud that all our products are locally sourced so that we retain the highest quality possible for all our small batch products. Stephen Dates – is our sales manager. He loves sharing our products online on social media and interacting with the public. Brenden Backus – would tell you that he has the best job as the master distiller and head of production. His passion shows through the meticulous blends of all L1DC’s products. Kevin Dates – handles all operation and maintenance at the distillery. Hey Buddy!, I found this information for you: "About us". Here is the website link: https://lock1distillingco.com/lock-1-nys-farm-distillery-phoenix-ny/. Thank you.